Volvo will unveil the S90 at the Detroit auto show next week. (Bloomberg) -- Volvo predicts it will achieve a third consecutive record in annual sales in 2016 as the automaker adds to its lineup of premium vehicles targeting U.S. consumers. Buoyed by the new XC90 SUV, deliveries reached a new high last year, rising 8 percent to 503,127 vehicles, Volvo said in a statement today. December sales rose 32 percent to 62,125. The result marked the first time the 89-year-old automaker has breached the half-million sales mark in one year. The company, owned by Chinese billionaire Li Shufu's Zhejiang Geely Holding Group Co., is retooling its lineup to compete with leading luxury-car makers including BMW Group. Volvo is counting on growing demand for premium models in the U.S., where it is planning to build a car factory, to propel sales gains. 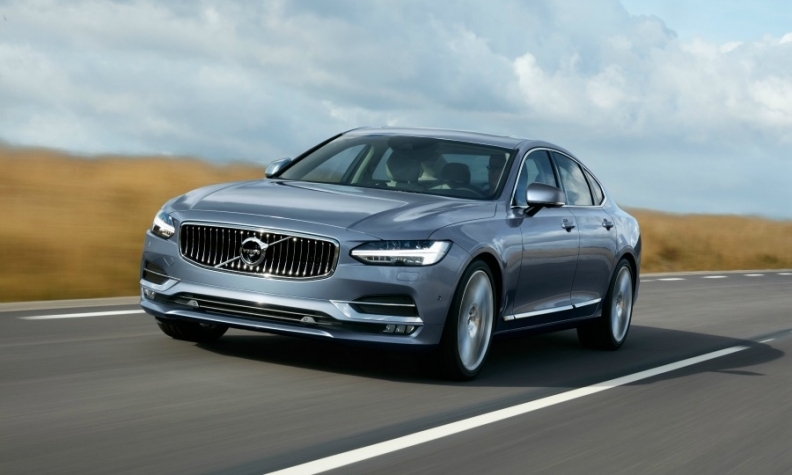 The company is presenting the S90 sedan, the second model in its all-new range, to the public for the first time next week at the Detroit auto show, and said today that the entire model range will be renewed in four years. "Volvo is about to enter the second phase of its global transformation," CEO Hakan Samuelsson said in the statement. "Once completed, Volvo will have ceased being a minor automotive player and taken its position as a truly global premium car company." Demand last year jumped 24 percent in the U.S. and 11 percent in Europe and ended unchanged in China after an 11 percent gain in the fourth quarter. "These upward sales trends are expected to continue in 2016," Volvo said. The company reiterated a medium-term goal of selling 800,000 cars a year. While China's car market in 2015 was "challenging," the automaker said it expects to continue expanding there over time.